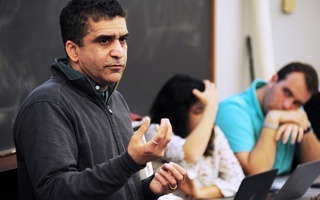 Dean of the College Rakesh Khurana speaking at an Undergraduate Council meeting in April on his decision to reject a proposed summer program for low-income and first generation students. UPDATED: August 19, 2017 at 11:24 a.m. 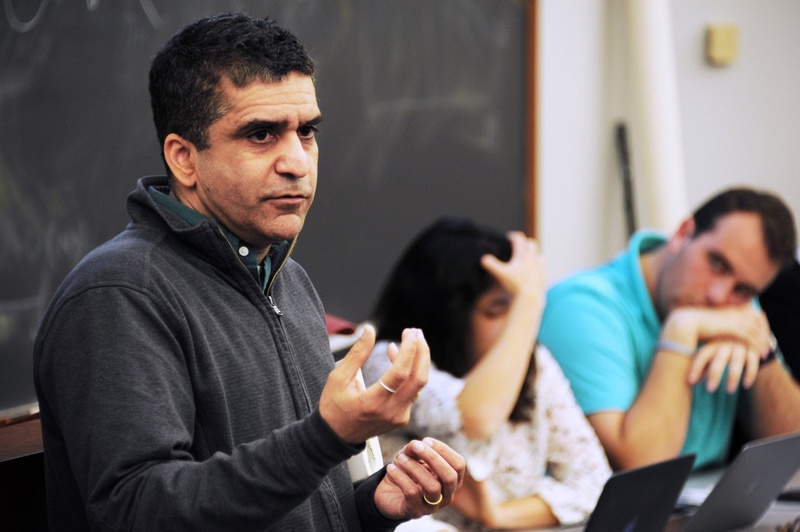 The College will pilot a new pre-orientation program for freshmen “from historically marginalized communities” in 2018, according to an email sent to students by Dean of the College Rakesh Khurana Friday afternoon. The program, intended to help these students transition to life at Harvard, could resemble a proposed summer program for low-income and first generation students that Khurana rejected in January. In his email Friday, Khurana wrote that he wanted to “share some news” about a topic discussed on campus last spring—an apparent reference to the earlier, failed program. “We hope that this program will be especially effective at building community and fostering a sense of belonging among students from historically marginalized communities,” Khurana wrote in the email. He added that the decision to establish the program was based on “thoughtful feedback” from students—especially members of the First Generation Student Union—and that the Freshman Dean’s Office, the Advising Programs Office, and “student leaders” will work together to develop the program going forward. Khurana included no further specifics in his email. Students and administrators had previously suggested two separate versions of a pre-orientation program for low-income and first generation students. In spring 2015, Savannah N. Fritz ’17 proposed a “Freshman Enrichment Program” to the Undergraduate Council. Through that program, Fritz hoped to invite low-income students to campus a few days prior to the start of the fall term to share meals with College administrators, attend panels with academic counselors, and speak with representatives from the Office of Career Services and the Financial Aid Office. But the idea met with “resistance” from Khurana, Fritz said. After plans for the Freshman Enrichment Program fell through, Freshman Dean’s Office employee Katie W. Steele helped develop and propose a second program—the First Year Institute—which also called for freshman pre-orientation sessions to help low-income students adjust to Harvard. The First Year Institute was closely modeled on Fritz’s original program. But the second program got no farther than the first. 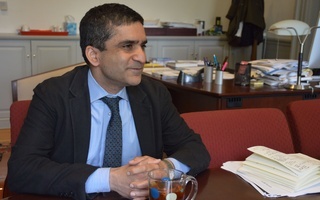 In late January, Khurana informed Steele he was not interested in the First Year Institute, prompting Fritz to publish an op-ed criticizing his decision. “In lieu” of the First Year Institute, the College announced plans in March 2017 to create a new, part-time “First-Gen Low Income Student Advocate” position in the Freshman Dean’s Office to advise first generation and low-income students. Sa-Kiera T. J. Hudson will be the first person to fill that position this year. 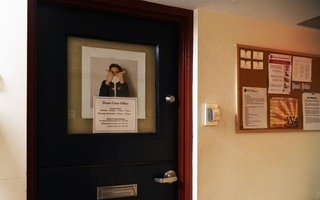 A fourth-year Psychology doctoral student, Hudson will have drop-in hours three times per week to help freshmen navigate the “road blocks and setbacks” that low-income and first-generation students experience, according to the Freshman Dean’s Office’s website . Hudson is also a freshman proctor in Mathews Hall. For some students, though, the new adviser was not enough. After Khurana’s dismissal of the program became public knowledge, undergraduates spoke out against the rejection—in person and in posts on social media. With public pressure mounting, Khurana and Dean of Freshmen Thomas A. Dingman ’67 decided to hold an open question-and-answer session with members of the UC about the program in April 2017. 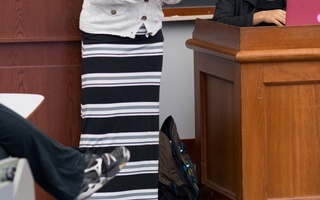 During a tense 45-minute exchange, Khurana and Dingman attempted to defend their decision, fielding criticism and questions from concerned students. Just two days later, UC members—apparently unconvinced—penned and signed a letter vowing support for the rejected First Year Institute. Khurana and Dingman further defended their decision by publishing an op-ed in The Crimson on April 12, arguing that the First Year Institute—and programs like it—would be unable to meet the needs of Harvard’s low-income and first generation students. Planning for the College’s newest pre-orientation program targeted at students from first generation, low-income, and under resourced high schools marches forward as the program irons out logistics and solicits student input.